How Far is Pride Hills? Pride India owes its genesis and successful growth to the uncompromising quality, strict adherence to its commitment and the vision & ambition coupled with passion to make it big. What started with small and medium sized real estate projects now embarked on to big time land acquisitions, land development and constructing residential and commercial spaces. 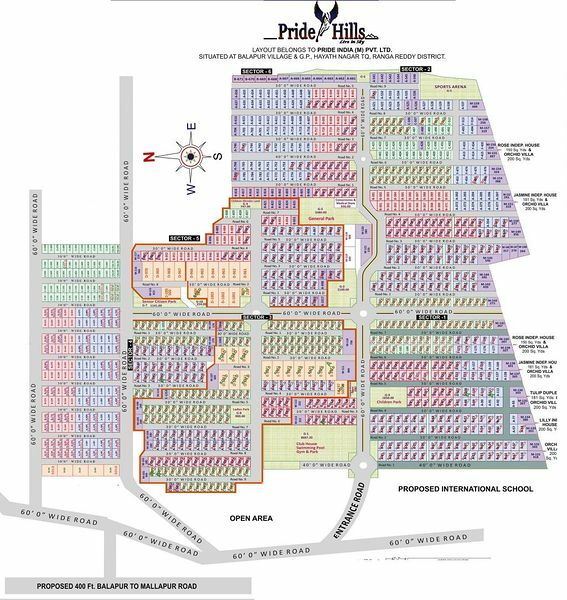 The management team inspired by the company vision and mission steered all its experience and intellectual forces, after carrying out a thorough study by launching the group’s first mega project Mega Dream City, Balapur followed by The Pride and now the”Pride Hills” a prestigious 200 acre venture constituting Duplex, Independent Houses, Luxury Villas, Open Residential Plots and Commercial entities like Five Star Hotel, Multiplex, Shopping Complex, International School and Multi-specialty Hospital.